Karen Watson is a Licensed Clinical Social Worker. A graduate from University of Illinois, Karen earned a master’s degree in Social Work with a concentration on Community Mental Health. Over the last decade, Karen has dedicated her career to working with individuals struggling from addictions, trauma, end of life issues, depression and anxiety. It is Karen’s vision to help people live their lives well. 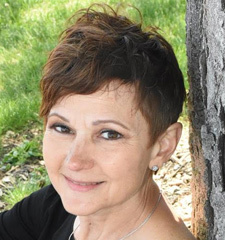 Karen values a holistic approach to serving clients integrating traditional talk therapies and cognitive behavioral techniques with an emphasis on mindfulness practices, yoga, meditation, prayer, nutrition, etc. Karen believes the healing process is achieved through the harmonizing of body, mind and soul. Everyone has a story to tell and Karen would like to hear yours. Regardless of race, ethnicity, religious beliefs or feeling different in any other way, Karen’s passion is to partner with you as you explore this part of your journey. Karen believes that talking with a counselor that is safe and nonjudgmental is what everyone deserves.